The U.S. Securities Exchange Commission (SEC) has announced their official position in regards to cryptocurrency and its status as a security. Commission Director of Corporate Finance William Hinman addressed the subject on June 14th at the All Market Summit: Crypto in San Francisco. Hinman stated that the commission would not be classifying the new cryptocurrencies (bitcoin, ether, etc.) as a security. Adding to Hinman’s original statement he commented that “If a cryptocurrency network is sufficiently decentralized and purchasers no longer have expectation of managerial stewardship from a third party, a coin is not a security” (Ethan Wolff-Mann, 2018). Hinman’s announcement is in correlation with the Commission Chair Jay Clayton’s earlier statements stating that they “would not change the definition of securities to include bitcoin” (Ethan Wolff-Mann, 2018). Securities is defined as a thing deposited or pledged as a guarantee of the fulfillment of an undertaking or the repayment of a loan, to be forfeited in case of default. This idea was originated after the market crash of 1929 as a fail safe for the bank system. For a cryptocurrency to be considered a security, the currency would have to go through the process of registration through the SEC. Officials at the Commodity and Futures Trading Commission (CFTC) have been urging the SEC to announce its position on ether. The consensus is that the currency should be treated like a commodity similar to gold or oil. 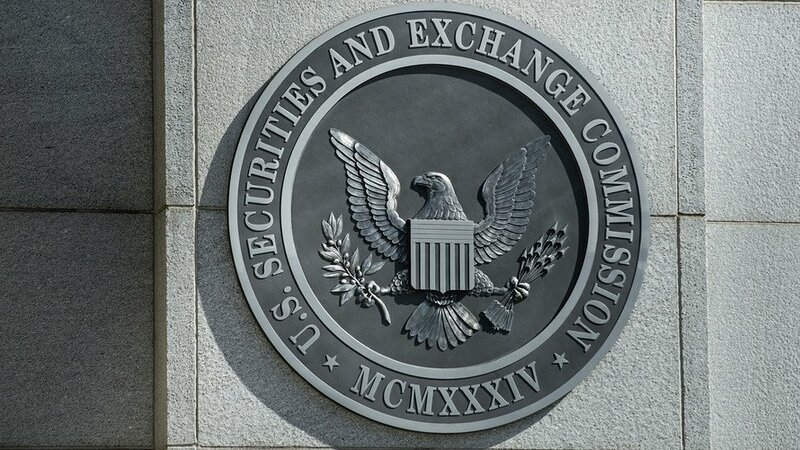 In finality, the SEC’s philosophy on the subject states “the economic realities are more important than how something is labeled” (Ethan Wolff-Mann, 2018). Or in layman’s terms, the name is not as important as the subject itself. Apple has released an updated policy for all iOS and macOS devices geared directly towards mining cryptocurrency. Users of the popular tech brand will no longer be able to mine bitcoin or any type of cryptocurrency directly through their devices. Apple Insider was the first outlet to catch wind of this, and quickly posted up a statement from Apple with the exact parameters for the new update. “Apps may facilitate virtual currency storage, provided they are offered by developers enrolled as an organization” (Apple Inc, 2018). In addition, apps may not directly mine cryptocurrencies, unless the mining is performed in the cloud or otherwise off-device. Apps may “facilitate transactions or transmissions of cryptocurrency on an approved exchange, provided they are offered by the exchange itself” (Apple Inc, 2018), although apps facilitating Initial Coin Offerings (ICOs) must originate from “established banks, securities firms, futures commission merchants (FCM), or other approved financial institutions” (Apple Inc, 2018). And finally, cryptocurrency-related apps “may not offer currency for completing tasks, such as downloading other apps, encouraging other users to download, posting to social networks” (Apple Inc, 2018). Speculation on the subject states that mining for bitcoin is too strenuous on iOS devices, and this was the deciding factor on the new policies. Apple Insider pointed out that it may go beyond that into Apple’s tumultuous history with bitcoin dating back to 2013, most recently the 75,000 in bitcoin scammed from the co-founder of Apple, Steve Wozniak. Whatever the reason for the crack down, the regulations placed by the company are there to protect the consumer. Cryptocurrency is still a relatively new industry and it seems that companies like Apple will just have to learn by trial and error. Thailand is making large steps in the arena of cryptocurrency with their SEC set to approve five new initial coin offerings (ICOs) later this month. This follows a royal decree that was announced in mid May pushing for an establishment of a framework for the currency. It is still unclear why the five projects were chosen. Thawatchai Kiatkwankul, director of corporate finance at the SEC’s equity department told the Bangkok Post “Projects which can be easily vetted and have commercial attributes attached to them will be considered for fund-raising” (Bangkok Post Public Company Limited, 2018). However nothing is ever as easy as it seems. Approval from the SEC comes with a few catches. A mandatory registration and vetting process which includes ICO users, digital exchanges, brokers and dealers involved with the digital assets, as well as a cap of 300,000 baht (roughly $9000 US dollars) contributed any individual retail investors. If the process goes smoothly Thailand will join the few countries currently building framework for the use of cryptocurrency including Russia.